HyreCar Review | Is HyreCar Legit or Should You Stick to Uber and Lyft? What if there was a platform for renting cars which could bring you money? Now, if that’s interesting at all, give this a read, and maybe you’ll end up finding a new way to make some money on the side. Maybe you have a spare car you aren’t driving. Maybe you bought yourself a new one and decided to wait until the market was good for the old one. Maybe you didn’t sell it off because you didn’t want to, back then, but now your car is just taking up space in your driveway and on your list of things that are just lying around because you don’t know what to do with them anymore. Maybe your car is a little battered, so you’d rather take the new one out for a spin. Or, maybe you’re a young university student, who has some brilliant driving skills, who thought Uber or Lyft would be a great idea to make some money to support your fees for the next semester, but were totally disappointed when you learned that both Uber and Lyft need you to have a vehicle you are registered with to drive. You then tried getting a car on hire, but they all asked you to lock in for a period of six months, asked you to pay upfront, came with mind-boggling paperwork and an extra side of insurance policies that left you wary of even touching the car, let alone driving it. Whether your story is closer to the first or the second one here, you’re going to be happy when you get to know that there’s a platform that offers a viable solution to both of you. Meet HyreCar – a unique, innovative platform that is a single-stop solution for those looking to rent or rent out cars, almost like an Airbnb for cars, if you could call it that. What is HyreCar (and are they reputable)? HyreCar is an online and app-based platform that connects car owners to those looking to rent cars, not just for personal use (like your usual car rental), but also to qualified drivers who’re one step away from making some money because they don’t have a registered vehicle. It’s simple – as a car owner, you sign up on their website or app, get your vehicle looked at by the folks at HyreCar and once approved, you upload your profile, registration details and pictures of your car along with basic information like its condition, brand, miles driven, and before you know it, your car will be up on HyreCar’s platform, available on rent to drivers who are looking to get on board with ridesharing partners such as Uber and Lyft. For those looking to rent these cars, the user experience is exactly like looking for rented accommodation – you sign up using email or Facebook, select your preferred location, select the dates, and browse through the cars available. Once your request has been approved, you’ll be in touch with the owner. All that’s left for you to do, is to download your documents from the HyreShare platform – these include insurance, registration and vehicle inspection. Next, you arrange pickup time with the car owner, upload your completed documents to your selected ridesharing portal, sign up with them and you’re driving your way to some good money. That’s all there is, really. The reason there’s nothing more to mention isn’t because HyreCar offers only this much, but the mantra at HyreCar seems to be simple – quick, convenient and efficient, much like the tour of this fantastic brand you’re about to get below. You’ll find that it comes with some fantastic features, whether you’re an owner or driver. After all, HyreCar’s platform is simple, quick and convenient, and gives you all the information you need in a jiffy, so while you’re reading all of this, you should absolutely go check it out yourself – apart from the website, they also have an easy-to-download app, which practically brings you your next profitable gig to your fingertips. HyreCar, as a platform, has been designed to ensure easy navigation, accurate information and complete transparency, so whether you’re an owner or a driver, you get to know everything you need to know before renting or renting out your car – it is as easy as browsing through a product catalogue and filtering products based on your preferences. As an owner, this is the feature that you will absolutely love. As opposed to its competitors, HyreCar doesn’t try to control how much you can make by putting your car on the market – no fixed price slabs whatsoever, with most cars priced at between $25 and $40 per day. This means you get complete autonomy in deciding how much your car should fetch, making it a pretty sweet deal! If there’s something for car owners, there’s also enough for drivers to love, and HyreCar makes absolutely sure of this. No lock-in periods – you can rent a car for as few as two days. HyreCar lets you try using their cars for a few days with the ridesharing partner of your choice, demanding no cancellation costs like their competitors. At HyreCar, the magic word is speed – just like it is for your car. From signing up as an owner or a driver to actually getting the car on the road – this literally happens at lightning speed. From uploading necessary documents to scheduling a car inspection and pick up, HyreCar ensures that this process takes as little time as possible, and can be performed sitting anywhere, with a few mouse clicks or taps on the screen. For owners, HyreCar’s insurance policy is nothing short of a lifesaver. After all, when you’re putting your car out on the road, you want to make sure it is in good hands. HyreCar makes sure your car stays safe no matter what, first through its stringent quality checks of the drivers before they approve their profile, and then through insurance covers that are sufficient to cover up any damage your car might endure while on the road. Unlike other rental services, HyreCar doesn’t ask you to sign up with a lock-in period, which means you can pay by the month, with cars starting at $25 a day, with some weekly and monthly discounts that can go up to 50% with certain cars. HyreCar needs no signup fees from you as a driver and doesn’t trap you with lengthy, mind-boggling contracts. While this makes your life easier, as a driver signing up on HyreCar, you should know that all new drivers have to pay $200 deposit – which gets refunded to you at the end of your first rental, as soon as you return the vehicle, and in good condition. So when you register, make sure you’re ready to shell out $200, which you’ll get back as soon as you finish your first trip, so it is only an investment you’re making, not an expense. HyreCar operates in more than 20 prime locations, which means finding a car on rent is easy stuff. Plus, it’s streamlined car search features allow you to look for a car exactly where you need it, depending on where you’re going to be. This is totally in line with HyreCar’s mantra of keeping it as convenient and efficient as possible – there’s no chance you’ll waste time traveling too far to pick up your car, or even worse, to drop it back off, which could even mean cutting short a few more trips you might have otherwise made, making that much more money. For a company that is all about speed, HyreCar thinks there should be no time wasted between you signing up on their platform and you signing up with Uber, which is why both – their website and app come with an easy link to sign up with Uber as a driver, which is the perfect next step once you’ve uploaded your documents and found yourself a car you want to rent from HyreCar. Whether you’re an owner or a user, HyreCar makes sure you don’t have to worry, either about paying or receiving payments. Its online bookkeeping feature lets you view the cars you have rented, along with other details of the rentals. For owners, this is nothing short of a genie in a magic lamp, because you’ll be able to see exactly how much money your car is making you, and you’ll be able to track and monitor your car every minute, no matter where it is. HyreCar’s amazing, user-friendly features also mean more benefits. Whether you are someone renting a car, or an owner looking to make some extra money on the side, choosing HyreCar will seem like the best choice once you’ve seen the benefits below. If you’re the owner of a car and want to rent it out for some extra income, there’s no other place like HyreCar for you. HyreCar’s happy users include those who own a single extra car, as well as dealers who work with entire fleets of cars. Irrespective of whichever category you fall into, HyreCar’s top-class sales team will make the process of renting out your car, a breeze. Simply register online, or give them a call, following which HyreCar will set up a vehicle inspection. Once the vehicle is inspected, the team will assist you with uploading your registration, along with good quality photos and then your car is ready to make you some extra money on the side. Is your car eligible? Yes, as long as it is Uber eligible or Lyft eligible. You can view Uber/Lyft car requirements on their websites, and these vary from state to state, but in most cases, anything after 2001 works perfectly fine. If it is a car that you haven’t used in a while, you should make sure you check for in-state license plates, insurance, and current car registration before you sign up, as these are absolute must-haves for any car that is featured on HyreCar. Who’ll end up driving your car? In all likelihood, HyreCar will rent out your car to a qualified driver who has been looking to rent a car, so they can get on board with a ridesharing provider like Uber or Lyft. Does this mean you need to worry about your car being in good hands? Worry not, HyreCar’s fair insurance policy makes sure you and your car are taken care of – they have a seamless, easy-to-navigate insurance policy that is much more streamlined than other rideshare providers. Their insurance covers for accidental damage up to $25,000 and liability coverage up to $300,000. Still think it is a big risk to take? Here’s an added bonus – as an owner renting out their vehicle through HyreCar, they have a neat little online bookkeeping system that promises you a hassle-free experience. From looking at updated payments to knowing exactly where your cars are and who they’re being driven by – HyreCar’s online bookkeeping system makes your life super easy and stress-free, while you make yourself a neat little profit on the side. So you’re a fully qualified driver, with all your paperwork in place, and you can’t wait to start driving with a rideshare provider such as Uber or Lyft, because it is absolutely one of the most organized ways of earning a solid and steady income as a driver, right? Except, you’re short of money to buy your own vehicle and renting a car means paying a heavy lock-in fee and an even heavier processing fee. Before you begin to think this is only someone articulating your troubles, there’s more. What if you could rent a car, from a trusted provider, on a monthly basis, only paying by the month? Too good to be true, isn’t it? With HyreCar, every bit of this is true. Get started with HyreCar by signing up with Facebook, Google or email, and once your documents are in place and your car rental has been approved by the owner, HyreCar lets you verify your ridesharing status and eligibility so you can become an approved driver. All that’s then left for you to do, is enter your location and desired dates and browse HyreCar’s website or app for qualified, privately-owned ridesharing vehicles. In fact, with some cars, you can skip the wait altogether and book instantly, without waiting for owner approval. Next, you’re probably going to be worried about payments – once you’ve taken care of the $200 you need as a startup deposit (you’ll get it back as soon as you finish your rental), here’s the best part – there are no sign up fees, no hidden expenses, or legal loopholes for you to get stuck in. Every car you browse shows a daily and monthly rental price – what you see, is what you pay. How to Make the Most of HyreCar? Now that most of your questions have been answered, it’s time for some nifty tips and tricks that will make sure you get the most out of your car whether you’re putting it out on rent or renting one as a driver. HyreCar comes with some great ways in which you can significantly boost your earnings, and get more out of your car or the time you spend on the road with it. Boost Your Bookings: HyreCar’s driver invitation system is a fantastic way to make sure your car gets booked every day – some of the highest HyreCar earners have nearly doubled the money they made previously by making use of this. Make a Lasting Impression: Whether you’re an owner or a driver, keep your profile updated, put up high-quality pictures of your car and make sure you only put up genuine pictures – HyreCar, as a brand, is big on transparency and they expect it from both, owners and drivers. 19-Point Vehicle Inspection: Make sure you get this done. This will make your car the first preference for drivers – no one wants to pick up a car, only to find out it needs some last-minute servicing before they can take it to the road. If you’re an owner and you want to make some money, so do the drivers – so make sure your car is in absolutely top-notch condition when it gets picked up. Set Both, Weekly and Monthly Prices: By using this one simple strategy, your car becomes a viable option for both, short and long-term rentals, which will make your car look like a great deal and will guarantee longer rental periods. Return Your Rental in Good Time: As a driver jumping on the HyreCar bandwagon, eager to make some money, the worst thing you can do it lose your hard-earned money to late fees that is $15 per day. Who’s Saying What about HyreCar? There’s no surprise that HyreCar has created a storm on the internet, and with the owner-driver-ridesharing folks. It has been gaining steady popularity on online forums, with most owners and drivers saying they are pleased with the money they’re making and applauding HyreCar’s hassle-free process and super-helpful sales team. There might be a few roadblocks, with some users claiming HyreCar is slow to respond, and that they struggled to use a HyreCar rental with Uber, but you’ll find that these are few and far between, which even good companies face, from time to time. What’s extremely reassuring is the HyreCar team’s responses to these user complaints – clarifying when issues have been resolved, or patiently helping the user find their way around the issue. Another thing that may seem like a hiccup, is the $200 that HyreCar demands from all drivers, for their first rental. Sure, that’s a big amount to shell out, but you’re getting all of it back within hours of your first completed rental, unlike some other ridesharing rental companies that charge a deposit, claim a part of it as signup fees, and then make drivers sign lengthy contracts as well. From a business perspective, HyreCar has been touted as a promising tech startup by multiple business publications and has been in the spotlight for quite some time. Overall, HyreCar definitely seems like a brand that is taking off, in top speed and top shape, bringing owners, drivers, and cars to a common platform, and creating rich, productive user experiences that will go a long way, just like you will, when you sign up on HyreCar. This is pretty much all the lowdown you need on HyreCar. You might want some more information, for which they have this pretty helpful, detailed guide on their blog. What’s left for you to do now, is get that car out of the driveway, get any rusty bits fixed and send it for a spin, first online and then on the road, and kick back and let your car do its thing. 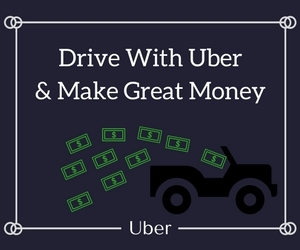 If you’re a driver, you’re one step away from getting up there on Uber or Lyft – instead of spending your time looking for alternatives, think about figuring out your deposit money, get your documents together, and sign up with HyreCar – within no time, you’ll find a car you like, around your location and before you know it, you’ll be zooming your way towards financial security. It’s all about making the most of opportunities, and really, if you ask around, opportunities like HyreCar aren’t exactly flooding the market – sure, you’ll find a hundred other rental services catering to ridesharing drivers alongside the usual personal rentals, but they won’t come built for you. HyreCar, on the other hand, caters exclusively to owners and drivers who are interested in the concept of ridesharing, which is why you’ll find no car that has an exorbitant rental – after all, it’s always better when you play a game that everyone can win at, that way, you can keep your car and drive it too!